“Lord, Help Tamara, for she knows not what she does.”, lol. Well, I have to admit, when I get my mind going in a certain direction, it’s pretty hard to get me to change and turn around. This year I am determined to finish this patio in our backyard. Every year for the last 5 yrs., I have made attempts to personalize it and make it an enjoyable area for our family. But, things have always come up and the other issue is I don’t want to spend a lot of money to do it. I want to use items that I already have, or can get for FREE, or for next to no money. This sometimes seems impossible, but I made up my mind and am determined that it will happen. Now, with that attitude, I had to be realistic with myself and search for things that I have on hand that could be repurposed. With growing kids, I was in luck! 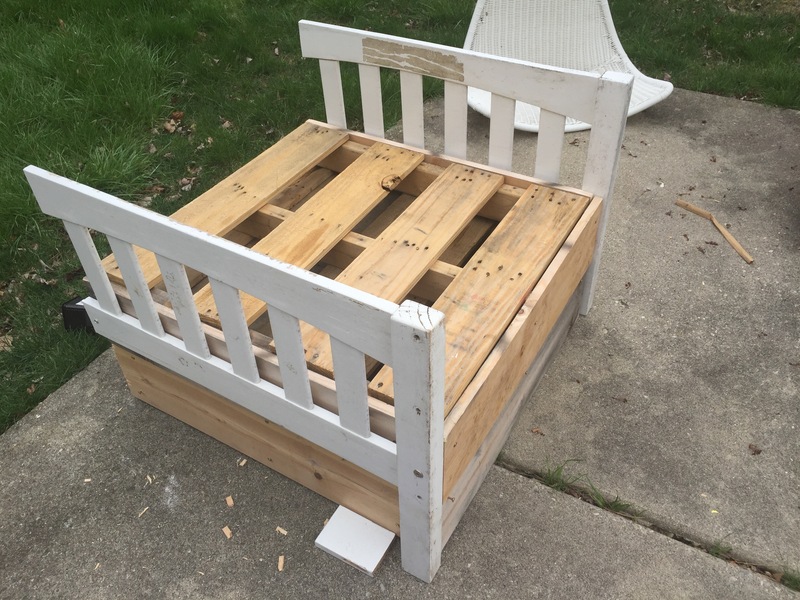 Last year, my kids switched beds, and we were left with wood bed frames. I saved them because I figured I could reuse those to make different kind of furniture…not that I’ve ever made any furniture mind you. Well, I did put a Barbie House together once. I’m all about not having to spend money on things when I can make it myself. Plus, deep within the recesses of my heart, I feel like I was meant to be a HGTV host. Whenever I watch those “Fixer Upper, Flipper Rounder” remodeling shows, I get inspired. Once I determined my direction with those bed rails, I started searching for other materials. 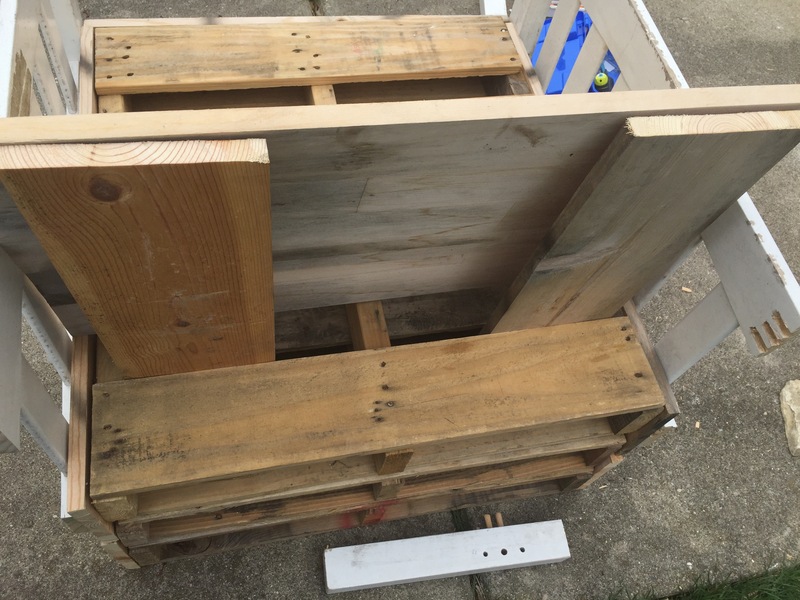 First, I needed pallets, wooden pallets. These are in an abundance and businesses are always looking to get rid of them. 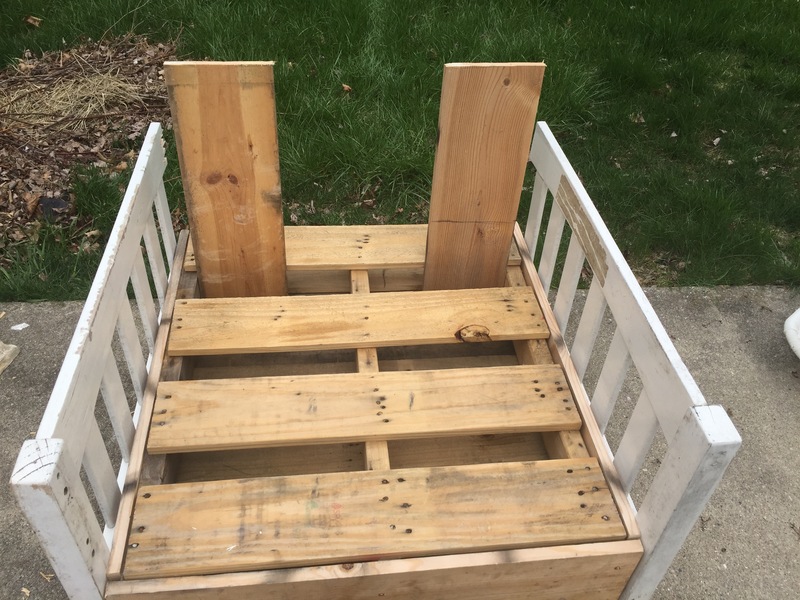 From there, went searching on Craig’s List for some FREE pallets that local companies may want to get rid of near by our home. 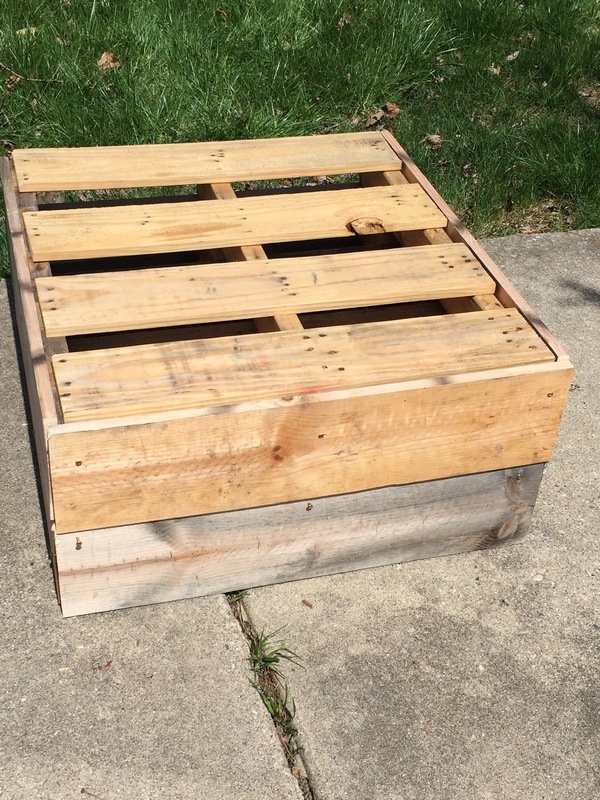 I lucked up and found a store right down the road that had some perfect pallets for the patio project I had in mind. Next, I convinced my husband, who often gets crazy request from me and I am sure wonders to himself, “what is she doing now”, to take me to go and pick some up. Well, actually, we were on our way back from visiting someone and I politely asked him to take me by this place, being it was on our way home, it made complete sense. He eventually asked me why we were going, and I told him…to pick up some pallets. 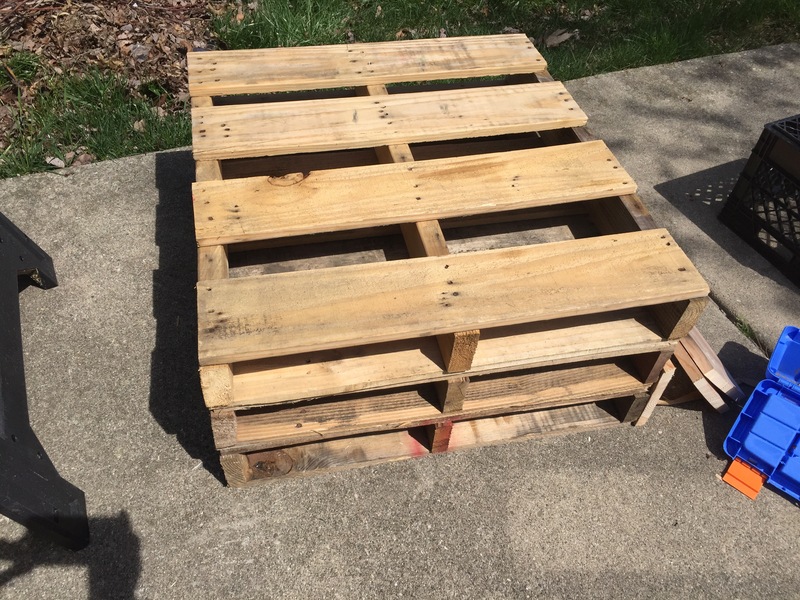 That look came on his face again, and I said, “PLLLLLLLEEEEEAAAASE!, I really neeeeeeeed these pallets”, with a little grin. That was all it took, and before I knew it, we were in the back of this store, gathering wooden pallets and chunking them in the back of our truck. Luckily, the ones I wanted were right at the top of the massive pile. Found about 6, packed them and we were on our way. Of course, I could feel him staring at me with a look of, “Lord Help this woman”, while I was admiring them sitting in the back of the truck, daydreaming about what I was going to do with these things. NOW comes the fun part! Although, I really had no clue how I was going to make this furniture. I am a person who loves working with my hands, and creating things. This was going to work just like a puzzle to me in my mind. However, hoping that what I saw in my mind, could translate to real life was another story. So, I just began to put things together. 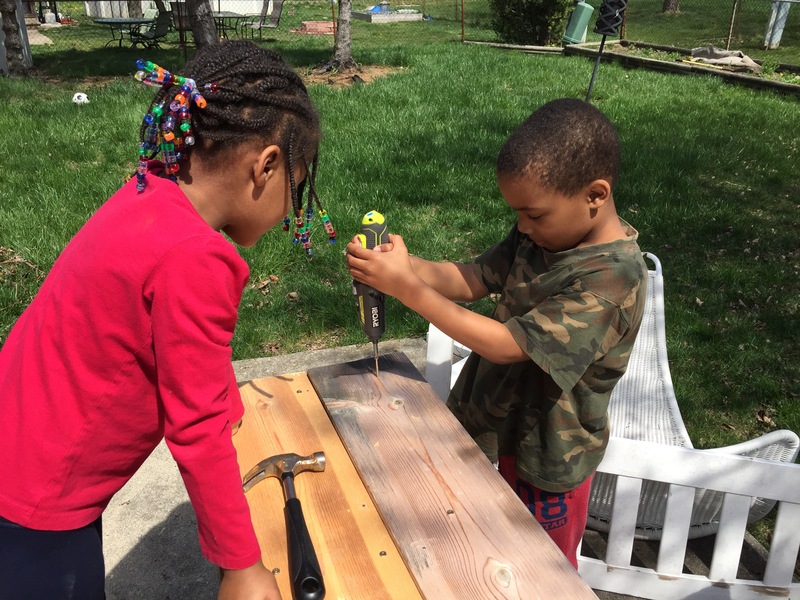 I got my two little ones and we all got to work! 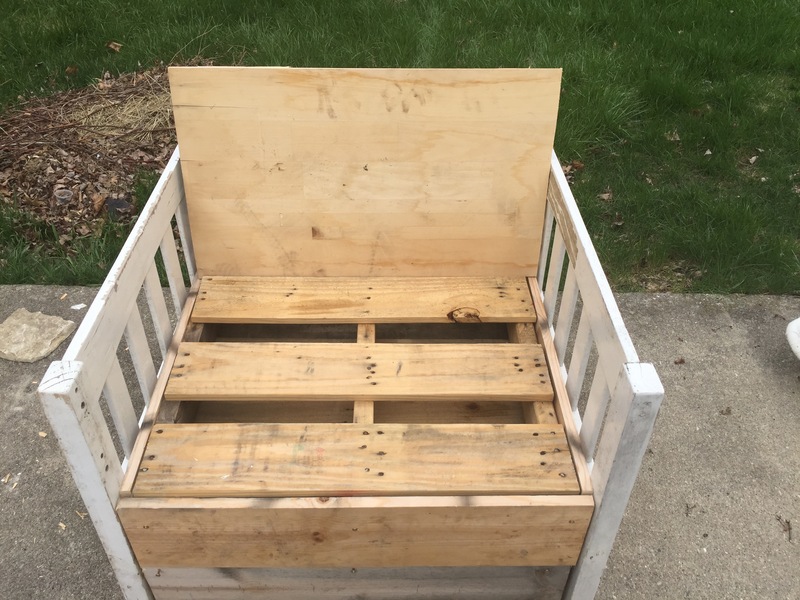 Now that the arm rest are secure, I found a simple way to make a back rest for the chair by placing planks of wood, in the open slots of the stacked pallets. No need to cut or nail in place. They sat there perfectly! These will serve as supports for the backrest piece. I then measured the space between the two bed rails and cut a piece of wood to fit that area to serve as the backrest piece. It fit right into the groves that were there from the pallets, which prevent it from moving or sliding. Finally, the chair is secure and is starting to look like a real piece of furniture! 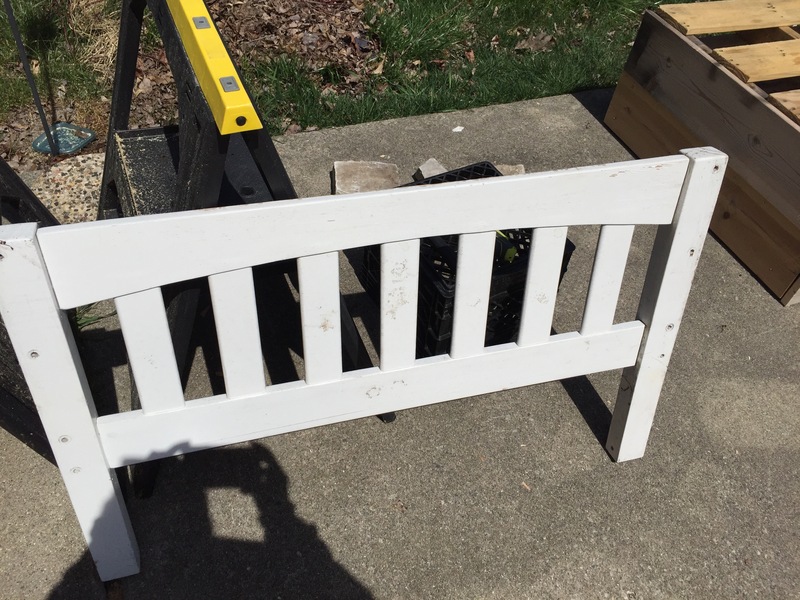 In part 3, I plan on showing you the color transformation and cushions and pillows I make to go on the pallets that will transform them into a real patio chair! ← Silly Women – How Great the Cost!